Małgorzata Andrzejewska-Bancewicz is an excellent tour guide. David Young, Customer Service Manager, ToursByLocals. Fantastic tour. Malgorzata had already done so much work before we arrived and totally tailored the tour to our needs. It was a busy but fantastic day and her knowledge was amazing. We will be coming back soon to use her again. Malgorzata gave us a wonderful insight into, not just the architecture and history of Gdansk, but also the culture. Her English was exceptionally good and she was very personable as was the driver she provided that day. 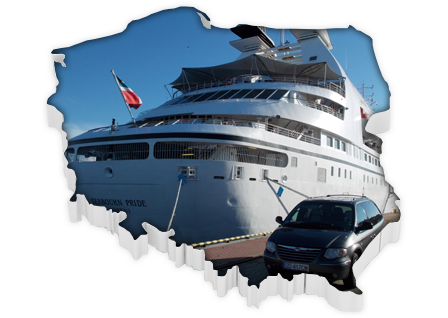 Like all our other „tours by locals” guides we used on our cruise she gave us extra time at no cost. We would recommend her highly to anyone wishing to secure her services as a guide for the day. Joanna is passionate about her city and gave us an excellent tour, even finding camera batteries at lunch break. She personalized the Solidarity Movement and made it come alive for us.We would recommend her. My family had a great day! We felt as though we were with a friend, rather than a guide. She went out of her way to make sure my son was able to locate an internet connection, which was very appreciated. She is full of knowledge and a wonderful conversationalist. I would highly recommend her services, and I hope to return to Poland one day and will definitely use her services again! Many thanks for a special day in Gdansk! Margaret planned and conducted an exceptional genealogy tour for us. We were at a dead end and unable to locate our ancestors in Europe. Her efforts prior to our arrival resulted in a major breakthrough in reconstructing our family history. 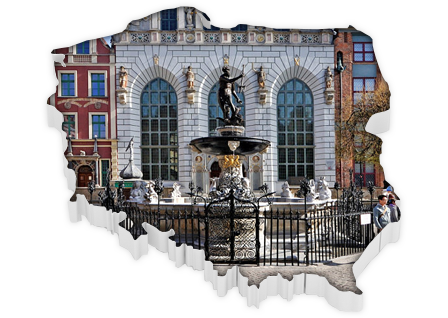 She then personally drove us around the greater Gdansk area for the better part of a week showing us sites of interest to our research and providing personalized sightseeing of the greater Gdansk area…one of the jewels of Europe. 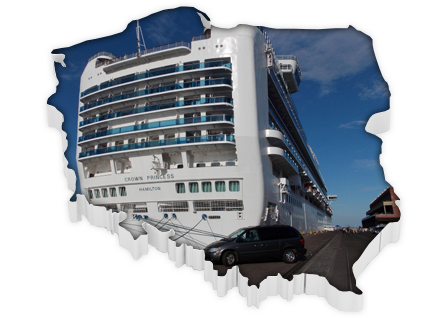 Old Town, Malbork Castle, Krakowa Castle, Gdansk Shipyards, Westerplatte, an outdoor Kashubian Museum and on and on. Enroute to each site she would thrill us with books to peruse while we drove and relate insightful stories about the place we were visiting. Her English was outstanding and especially critical when we met possible living relatives. We spoke no Polish and they spoke no English but Margaret interpreted during a several hour afternoon visit for the entire discussion! We have traveled a lot but because of Margaret this was by far the best trip of our lives. Margaret was an outstanding guide. She was the first person we saw when we stepped off the ship, spoke excellent English, was very knowledgable of the area and history of Poland. She designed a terrific day for us, which started with an organ concert and tour of the monastery at Oliwa Cathedral , a tour of Old Town Gdansk, the Amber Museum and lunch at a delightful local restaurant. We highly recommend her!! 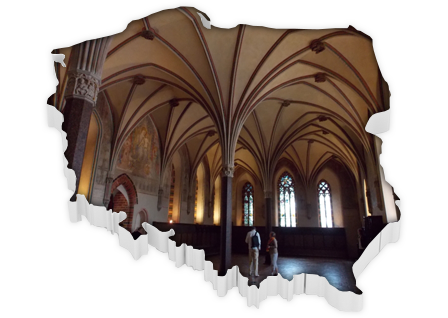 The visit to Malbork Castle arranged by Margorzata was excellent. Everything went according to the plan. The guidence, lunch discussions and general atmosphere fulfilled our expectations. Thank you! Darek vas VERY professional, polite and flexible to our changing tour priorities. Margaret organized a Malbork castle tour for my teen daughter and me. it was a wonderful experience and Margaret shared so much about Polish culture and history with us. Margaret was especially mindful of keeping the tour interesting for my 15-year-old daughter. She arranged for us to have a special lunch at the castle and this was some of the best food we had while in Poland. Margaret also gave us many suggestions to assist us in our Poland travels. This was a wonderful experiance and was one if not THE highlight of my trip. From the minute I met Malgorzata I knew I was going to find out everything I needed to know and more about Solidarity, Lech Walensa and so much more. Why not, when she has often acted as interpreter for writers and journalists meeting with Walensa himself. She was punctual, polite, patient and incredibly well-informed. Having someone of this calibre with you transforms your whole perspective and has led to follow-up e-mail chats!